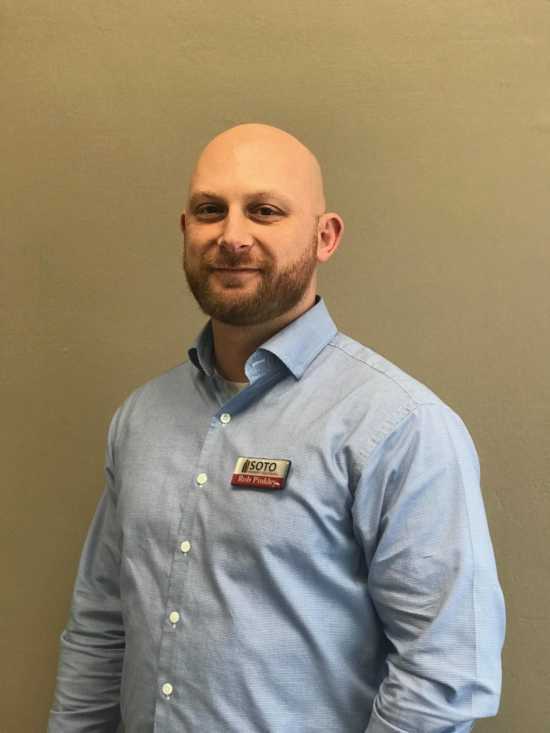 Cape Girardeau, MO, March 28, 2019– SOTO Property Solutions would like to announce the hiring of, Rob Pinkley, as Director of Maintenance Services. A Ste Genevieve native and 13 year Marine Corps Veteran, Rob Pinkley specialized in logistics management and section leadership during numerous combat deployments overseas. “If you needed “beans, bullets, or band aids” he was the man that could get it to you. In 2014, Rob had a change in career, entering healthcare maintenance management, leading him to relocate to Cape Girardeau, MO. Rob joined the SOTO team in late February this year as the Director of Maintenance Services to help expand the maintenance services part of the company. “I’m happy to have Rob head up the maintenance division of the company where his resourcefulness and can-do attitude will give us a jump start. He will be an asset in helping SOTO Property Solutions continue to grow so we can better serve, not just our clients in their property maintenance needs, but also all home owners in our area.” says David Soto. For additional information, contact David Soto at 332-7686 or david.soto@sotops.com. SOTO Property Solutions is a full service property management company specializing in the forward planning and management of rental properties and is dedicated to the clients they serve. SOTO Property Solutions serves owners and from St. Louis to Sikeston and everywhere in between, now even including Oran & Marble Hill. SOTO Property Solutions can assist clients in achieving their goals with real estate whatever those goals may be.